These skills will keep you afloat. There are many parallels between swimming in open water (the English call it “wild swimming”) and giving a great presentation. 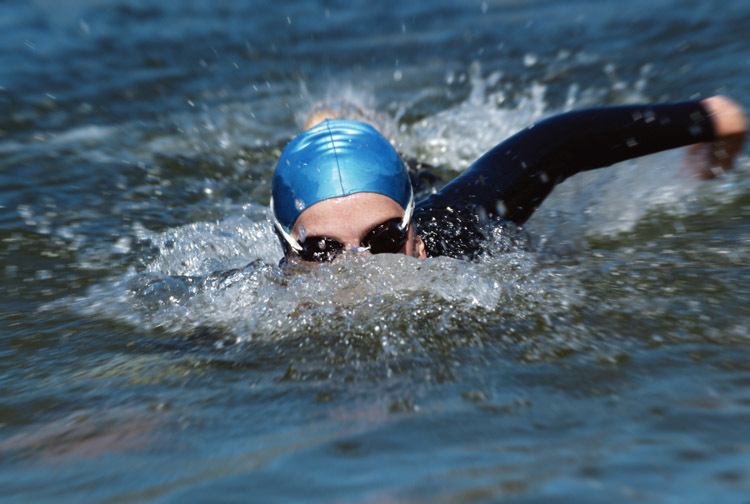 These skills will keep you afloat, no matter how choppy the water. When I swim, my focus is completely on what I’m doing. I’m not thinking about anything except moving forward. 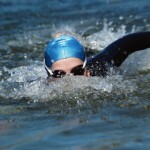 I am aware of each stroke, and often “course-correct” when I feel my form getting lazy. Great presenters have this same focus. They inhabit their bodies. They don’t wish they were somewhere else, doing something else. They totally commit to the activity of presenting. 2. Ignore the environment at your own risk. The minute I enter the open water, I begin a wilderness adventure. Unlike a pool, open water offers seaweed, sea animals, hidden objects, floating logs, jellyfish, currents, waves, swells, and…well, you get the difference. If I swim blindly, I may run into something. This happened recently to a co-swimmer who was so focused on winning our race that he ran into a submerged piling and broke his nose. Presenters, too, can “break their noses” by barreling along with little sensitivity to the environment. Environmental input takes many forms, including disinterested or enthusiastic participants, room acoustics, hecklers, heat or cold, and ambient noise. Presenters who shut themselves off from this input risk failure. Great presenters retain their sensitivity to the environment, without letting it overwhelm them. While swimming, I have discovered iridescent seaweed, a Weber grill, and curious seals with puppy faces. I have also discovered my own physical limits. Every time I swim, I discover something new, even if it is just the way the sun shines through the water (or not). Great presenters do this too. No matter how many times they’ve given a presentation, they discover new ways of saying things. They may develop new handouts or slides, or develop new questions to ask the audience. Boring presenters are those who never risk discovering new ways to present. Take these lessons to heart. When you invest yourself totally in the act of presenting, it all becomes easy. You’ll glide through your presentation like a fish. Read more articles about Presentation Skills. 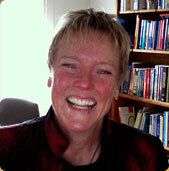 Learn about Guila Muir’s Presentation Skills Workshops. Nice imagery and brilliant advice! Hello, thanks for the post. very useful. Guila! You are consistenly wonderful!! !